Bleacher Report's “Game of Zones” parody is funny and entertaining, but it generally takes a wide scope at the league's landscape and bases its references on actual paralleles with “Game of Thrones” characters and NBA players. Golden State Warriors coach Steve Kerr wanted to mix things up and motivate his team in a specific way, so he contacted Bleacher Report and them make a custom episode of “Game of Zones” based on the team's references and inside jokes. 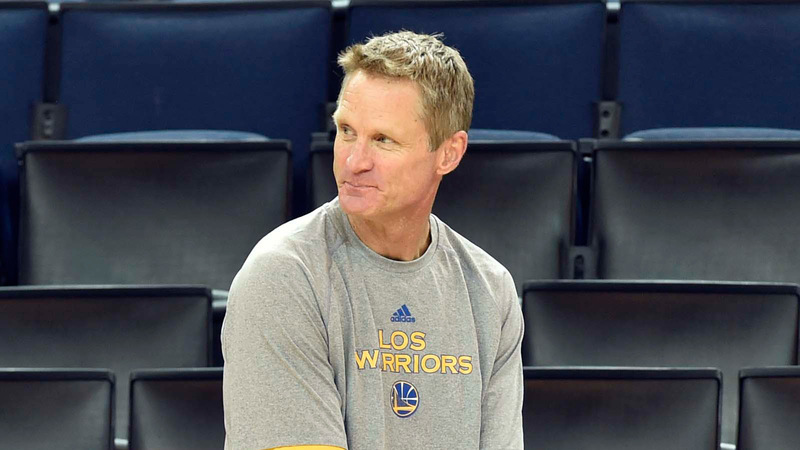 Kerr's idea clearly worked, as the players were laughing hysterically. It was a light-hearted, fun gesture, and one that can help keep the Warriors loose and focused — just like they were last season. Subjectively, the best part of the video was either Andre Iguodala's inappropriate suggestion or David Lee — who made a surprise cameo in the credits — begging to rejoin the team by offering them Chipotle. There are plenty of pressures that come with defending a title, and sometimes you just need to sit back, watch a cartoon of yourself and laugh.